What Is Retirement, Anyway? 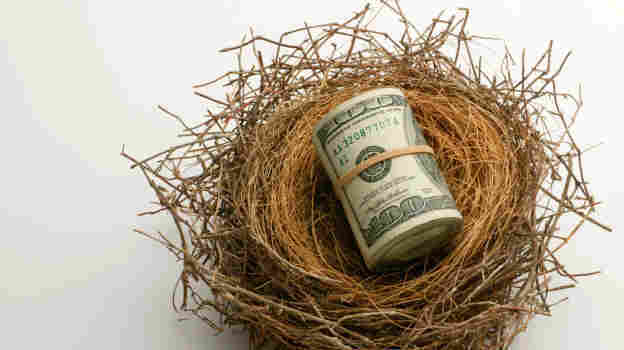 Planning for retirement isn't just about mutual funds, 401(k)s and reverse mortgages anymore. With the traditional notions of retirement changing, figuring out how to spend our later years requires a different approach. Expectations of a happy retirement are clashing with reality for some, a new NPR poll finds. 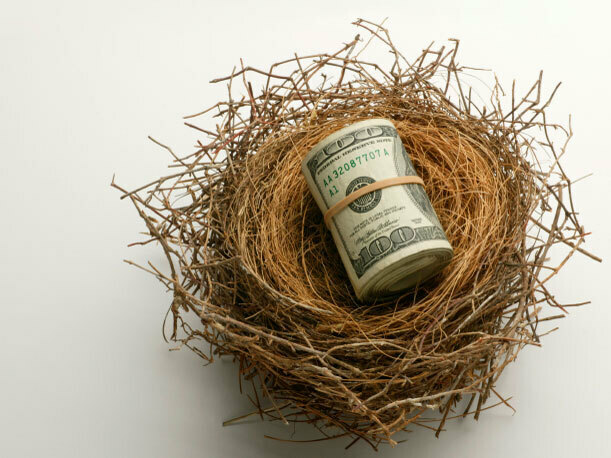 Figuring out how to approach retirement may require a new strategy. Developer Del Webb pioneered the idea of the "Golden Years" back in the 1960s. It was a way for the builder to market his Arizona retirement communities. The phrase has become a stereotype, but that definition of retirement is actually pretty recent. It's been around less than a lifetime and many are discovering the need to find a different approach to the so-called "Golden Years." "A hundred years ago, people worked till they dropped," says Marc Freedman, who makes his living focusing on older people. He says the marketed life of leisure and recreation really made a virtue out of necessity. In the 1940s, no one knew what to do after they got their gold watch. Then, in the 1950s and '60s, the first baby boomers were just getting ready for careers. "We were pushing older people out of the workforce to create room for younger workers, and in a very short period of time we turned that limbo state into a cornerstone of the American dream," Freedman says. Freedman heads an organization called Civic Ventures, a non-profit think tank on boomers. He wrote a book called The Big Shift: Navigating the New Stage Beyond Midlife. Retirement no longer lasts a decade or so. Now, it can last a quarter-century, and soon it'll include a quarter of the population. "It's no longer sustainable," Freedman says. "It's not sustainable for individuals who can't afford it, and for society they can't afford, I believe, to throw away the most experienced segment of society long before their past due date." But if your due date is a ways off, how do you handle it? Jim Barrera, 61, quit his job in Pennsylvania and moved with his wife to the Phoenix area to be near family. He still needs to support his family. And he thought he'd have no trouble finding a new job. "But I went about it the wrong way. I didn't know where to look. I'm looking at the wrong things. I'm all over the map," Barrera says. Lois Bartholomew retired recently from her job as a community college administrator. Her career was helping young people get started. Over the years, she realized that the typical retirement her generation thought was going to be there, isn't anymore. "We went to work. And we worked hard and we worked there long, and at the end hopefully you had enough resources to stop working," she says. "I don't think that's how the world is going to be made from this point on." Jim and Lois are at a four-week workshop in Mesa, Ariz., called "Exploring Your Future." There are seven men and women, ages 57 to 70 at this workshop — but it's not about mutual funds, 401(k)s or reverse mortgages. This workshop is about who they want to be for the rest of their lives. Facilitator Andrea White leads the group in something like a therapy exercise. "First of all, pick out your five highest values," she says. People write down what matters to them, then share it with another person. "If you design a future where what you do is in alignment with what you value, you're going to be more successful," she says. "When I worked for the Armour Meat Company, one of my co-workers was a vegetarian and he struggled every day with selling hamburgers and bacon and hot dogs because he didn't eat them and he didn't think other people should." Matching what you want to do with what you believe in — and what you do well — is a pretty good lesson for any stage of life. And even with planning, things change with circumstances. "For many people these days, it is financial," White says. "And they say, you know, I want to give back to the community but I need to make X number of dollars a year." By the end of the workshop, these people will have a plan for their future, and they'll be support for each other to get the plan going. Joanne Bohm says this is the first time she's ever been able to sit down and think about what she wants. "Before, it was just OK, you know, yeah, I would love to do that, or maybe that would be fun," Bohm says. "You get caught up in life. Until now, and now is a time where you go, whoa, where do I want to go? And wherever I'm going, I want it to be something that's meaningful to me." Jim Barrera, who moved to Arizona from Pennsylvania, says his goal is still undefined. But at least now he knows his motivation. "I'm coming here and saying, 'I got all these gifts, I got all these talents and what's holding me back?'" he says. "So many times in my life, fear has held me back and I understand better where I am now then I did before." This kind of workshop or seminar is starting to pop up all over the country. When you think about it, it's really not about retirement at all. This process would work just as well for people in their 20s leaving college. Defining who you are is a periodic yet lifelong process. In fact, Lois Bartholomew thinks her generation could learn something from younger people. "If you look at our kids, they don't define going to work for somebody for 30 years. They think that's hooey," she says. "So I think we need to sort of catch up with them that life will have all different parts. It has to be better balanced than what my generation did." So just what do we call this period of transition and reinvention if not retirement? "I asked my mother in law what we should call this period, and she said, 'Oh, I already figured it out. I'm on my next to last dog,'" says Freedman, author of The Big Shift: Navigating the New Stage Beyond Midlife and Civic Ventures Founder. The labels Third Age or Third Act or Middlessence are starting to be used. Freedman has his own name for it. "I'd like to see this period called encore adulthood," he says. Like Bruce Springsteen or another aging rocker giving it his all in concert, the encore ought to be at least as good as the rest of the show.